Yes, I know it is Thursday and I really don't have that much to report other than I'm writing, writing, writing but it seems to be going slowly, slowly, slowly. I'm giving myself a goal to finish the rewrite by the end of September, otherwise it will keep dragging on and I'll never finish. I finally realized I'm the type of person who has to have a deadline and someone to hold me accountable, otherwise it will be left to fester and I would be forever putting out fires. The reason for the deadline - October is going to be reserved for researching my 2009 Nano story "Eyes in the Ashes.". After nano I will be editing my 2nd nano piece and let "floating on the surface" (title to be changed eventually) rest. That's the plan, stan. Used to be a time I would never even think of working on more than one book at a time or even be writing a book and I'm imagining my grandmother saying "don't put all your peas in one pot." So, it was a good thing Michelle highlighted Rachelle Gardner's "Write another Book" post yesterday. It came at a good time. "I work with a lot of first-time authors, because that's part of what I love to do. But something I'm learning is that we may be doing you a disservice if we contract you when you've only written one book. Yes, writing that book was a huge accomplishment. And if your very first book garnered positive attention from editors and/or agents, that's even more of an accomplishment. It's terrific! But it's not enough. The hard truth is that it takes a lot more than one book to really know "how to be a writer." So if you get contracted after that one book, over which you slaved for years, and then you're under the gun to produce another book on a deadline, what's going to happen? You are going to have a very, very difficult time. Yesterday while perusing my favorite bloggers, I received a wonderful surprise from not one, but two bloggers. Wendy at Wendy's Minding Spot gave me this. Thank you, Wendy. And from Annie at Annie Writes About Writing. The award originated from The Scholastic Scribe in celebration of their 200th post and to share bloggy love with 5 extremely deserving scribblers. And if you are a recipient of their award, they would like to know about and have a Mr. Linky set up to add your name. Also check out who the very first 5 recipients of the award. 2) Each Superior Scribbler must link to the author & the name of the blog from whom he/she has received The Award. That would be Awesome Annie. Thank you Annie. Do you know how difficult it is to just pick out 5 people? Even if your name isn't on the list, it's in my heart because I appreciate each and every one of you. Okay- enough mush. On with the naming. Awesome Annie - I'm sending it right back to you. 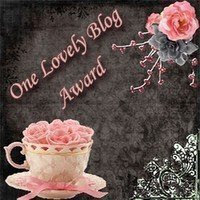 I probably am duplicating some folks who have already received this award, but these are just 5 of the bloggers (both old and new found bloggy friends) who have encouraged me with my scribbling. Work in progress wednesday's brought to you by Kate of the Lover's, the dreamer's and Me. You are so sweet, thank you! I think you should write what you want when you want. If it's two books at at a time, do it! And thanks for the award. LOVELY! I totally need deadlines, too. But self-made deadlines don't work for me b/c I break them. This is pretty much why I get the most written during NaNoWriMo, because it's an external event. Thanks for the award back, ha ha. It's really interesting how you can know a person over time through a blog. I know what you mean about needing deadline, although I am always giving myself different ones and then not quite making them. Love the quote from Rachelle Gardner as well - I think it is important to always keep writing! Congrats on your great awards!! I'm sure every great writer started on multiple books at one time. I'm in awe of you that you can like you do! !